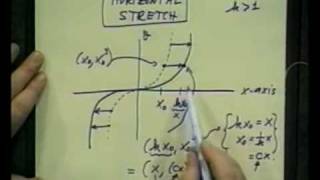 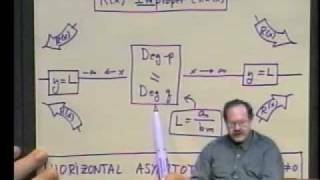 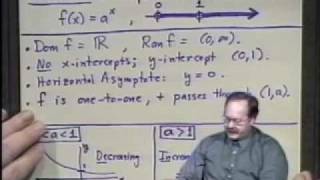 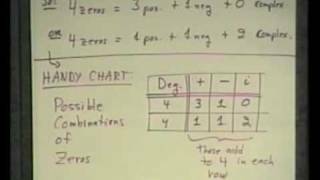 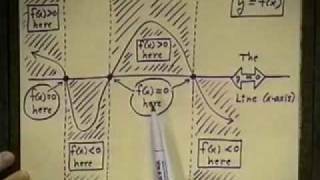 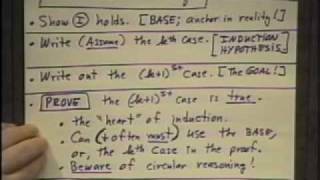 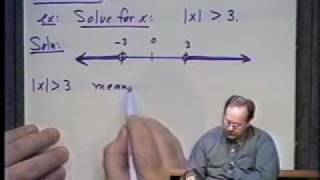 College Algebra with Professor Richard Delaware - UMKC VSI - Lecture 36 - Sequences. 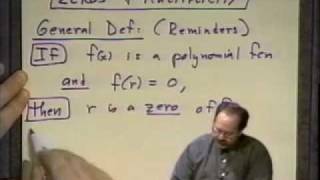 In this Lecture,we look into Arithmetic sequences and Geometric sequences. 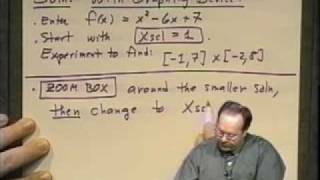 College Algebra with Professor Richard Delaware - UMKC VSI - Lecture 13. 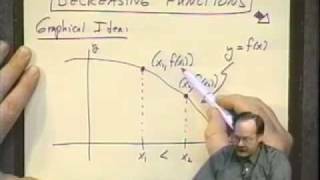 In this Lecture,we learn the Algebra of functions. 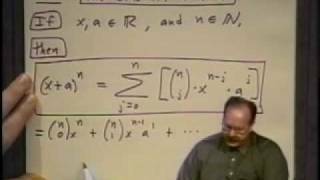 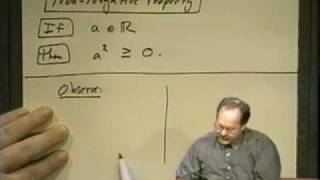 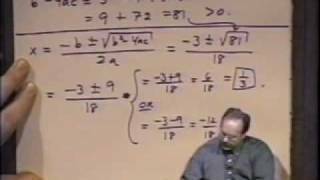 College Algebra with Professor Richard Delaware - UMKC VSI - Lecture 16 - Equations in One Variable. 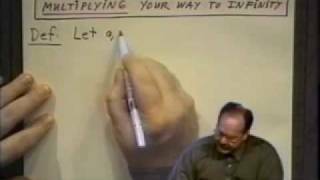 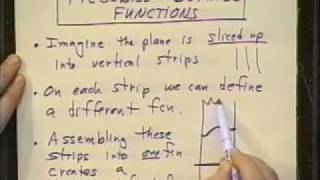 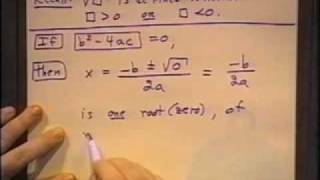 This lecture teaches how to solve Quadratic Equations. 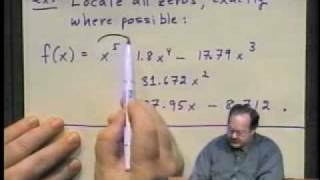 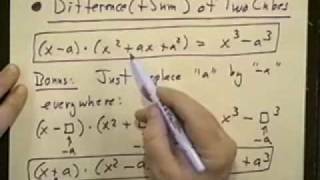 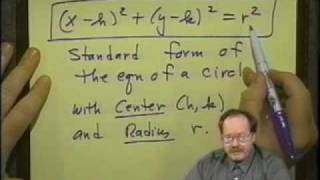 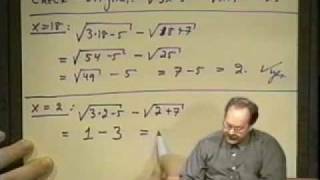 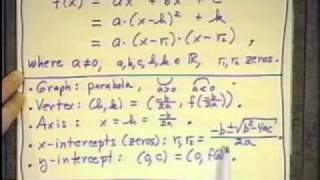 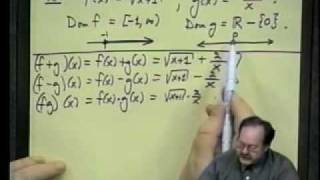 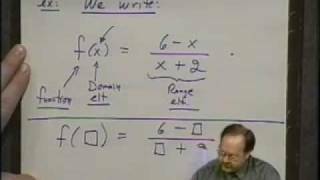 College Algebra with Professor Richard Delaware - UMKC VSI - Lecture 17 - Equations in One Variable. 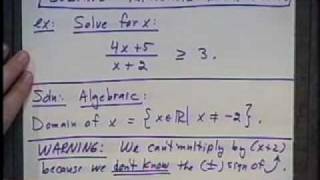 Some more examples on Equations explained.